This is a refreshing salad, that may be served alongside a meal, or made a little larger, for a meal in itself! The amount of ingredients is just a suggestion; add the amounts to suit yourself! Rinse lettuces; divide between 2 bowls. 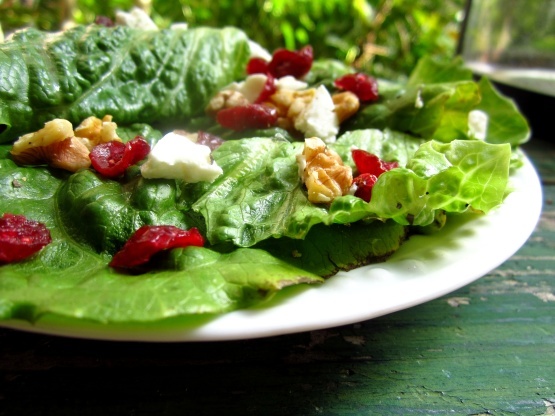 Sprinkle with walnuts, cranberries and goat cheese, evenly between the 2 bowls. Dress with vinaigrette, to taste: Salt and Pepper, to taste.